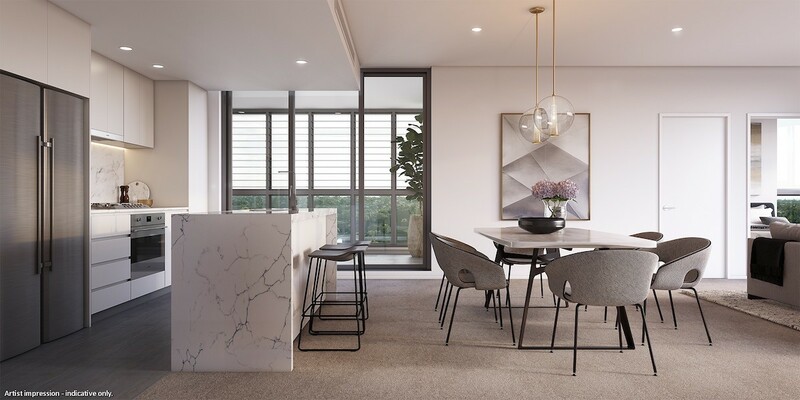 Discovery Point in Wolli Creek, Sydney’s multi award-winning masterplanned community on the Cooks River foreshore, is selling its final designer apartments in ICON. 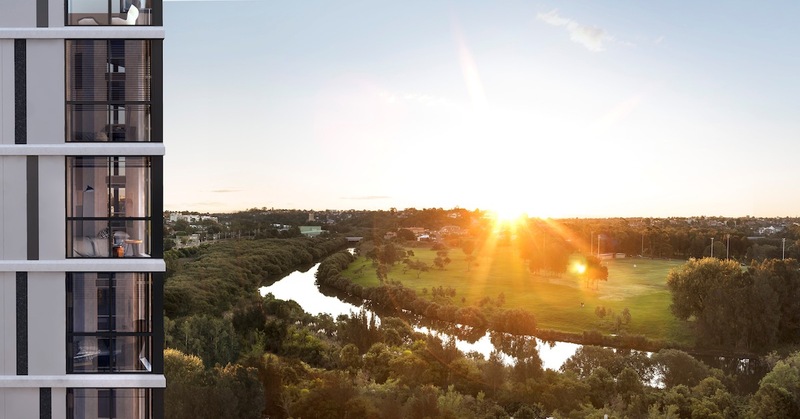 After more than 10 years of development this is the final chance to secure a home in one of Sydney’s most connected and convenient communities with an onsite train station and full service retail village. Jane and Roger Carthy are architects who moved to Discovery Point after the sale of their family home in the eastern suburbs. Discovery Point met their wish list, with plenty of space for entertaining, fabulous views and easy access to the city and airport. As architects, they also appreciate Discovery Point’s community-friendly design, with its energetic retail and dining precinct. “I love the way you come out of the train station in the centre, passing all the shops and going through the activated area. It’s a classic example of high-quality urban planning,” Jane added. For Ryan Matchett and his partner, moving into a Discovery Point apartment was one of the best lifestyle decisions they ever made. For the rare occasion when you’ll want to travel beyond the bounds of Discovery Point, direct access to Wolli Creek Station will serve you perfectly. Board the train and within three stops you’ll arrive at Central Station. For international travel, Sydney Airport is just one stop away. Commuters will also be conveniently located at Discovery Point, which is just 10km from Sydney CBD. Standing tall at 22 storeys, ICON is set to become a distinctive landmark in the area, offering a mixture of contemporary one, two and three bedroom apartments. Designed by renowned architects Group GSA, ICON will feature an elegant, slimline silhouette creating a sleek, streamlined appearance. 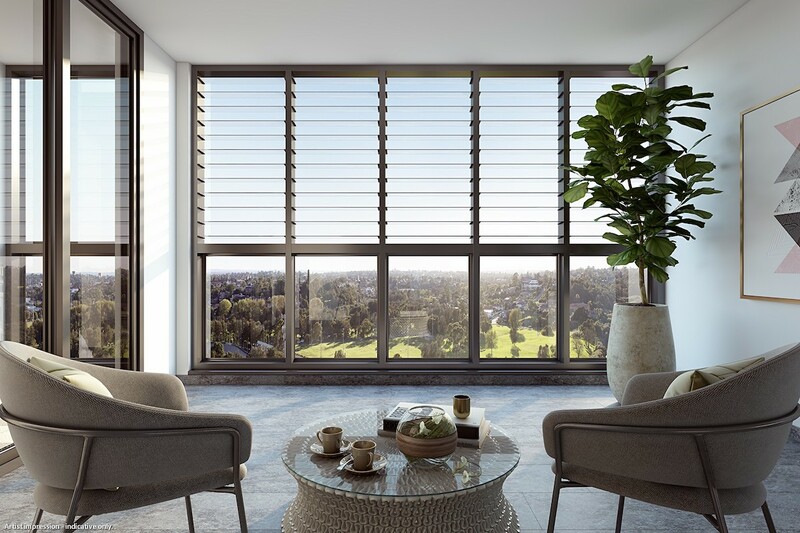 To mirror the glossy exterior, the interiors are fitted with floor-to-ceiling windows, giving way to stellar panoramic views of Sydney's skyline and parklands, as well as water views over Cooks River and Botany Bay. The Discovery Point motto is all about living the best life possible, and the entire neighbourhood is arranged to facilitate this for its residents. As such, ICON boasts a variety of recreational facilities that can be enjoyed in addition to everything the wider community has to offer. Discover ICON’s expansive outdoor BBQ area on the landscaped podium level – the perfect location to relax in peace or host an impressive party. If exercise is your thing, you’ll find the gyms, indoor and outdoor swimming pools perfectly equipped to help you get your fix. If you’re searching for somewhere sunny to do your push-ups you’ll have about 3 hectares of parks and gardens to choose from. ICON is now under construction and expected to be complete by the end of 2018. One bedroom apartments start from $710,000, two bedrooms from $900,000 and three bedrooms from $1,090,000. For more information about the development, to visit the ICON display suite, or to enquire about Discovery Point apartments, click here.